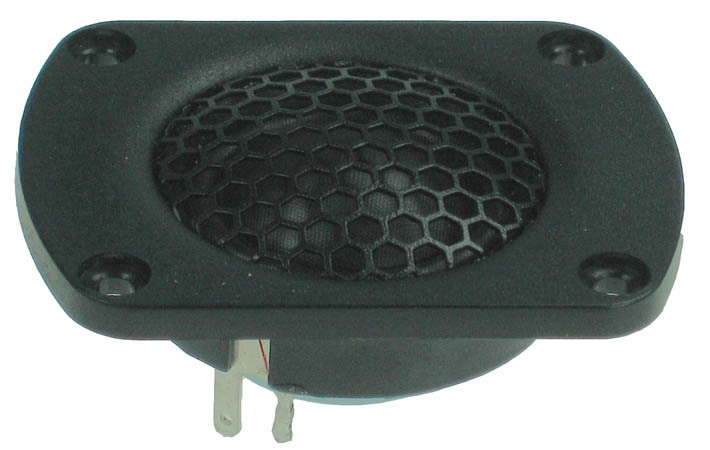 Compact design neodymium magnet tweeter for high quality speaker designs in small cabinets or automobiles. Sonolex precoated lightweight fabric diaphragm and suspension allows for very tight production tolerances and high consistency. 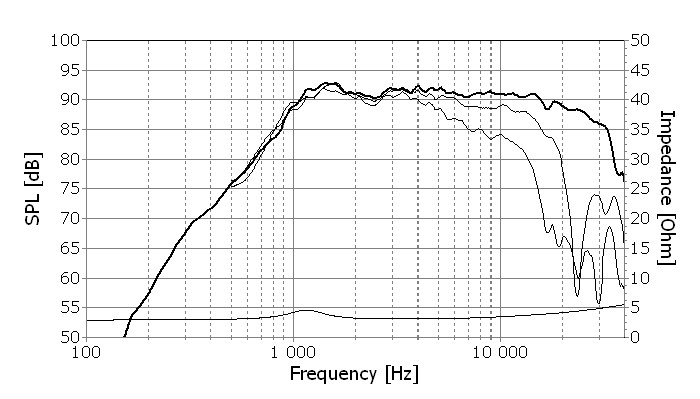 Wide roll surround together with a double chamber magnet system results in a low fundamental frequency. 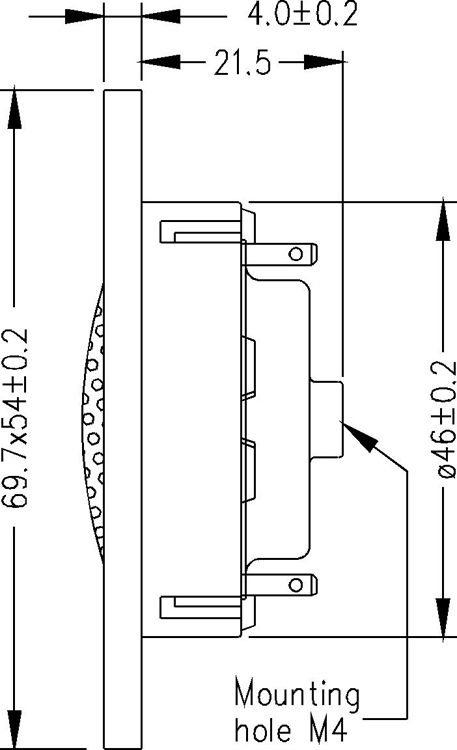 Very low magnetic stray fields make this unit suitable for A/V systems. The voice coil is immersed in magnetic fluid, allowing high power handling capacity and simplified crossover design.